You know you need to be on social media. But once you’ve created your social media pages, then what? Building your online network is a crucial component to developing any successful social media account. In this blog post, we’re sharing 5 tips to to help you leverage your LinkedIn social media presence to drive more traffic to your website, showcase your thought leadership, and connect with more prospects. After creating a personal LinkedIn account, you have the ability to not only share and showcase your business expertise, but you also have the ability to search and join a number of groups. On LinkedIn, groups are a way to connect people to their interests, industry, or area of focus. 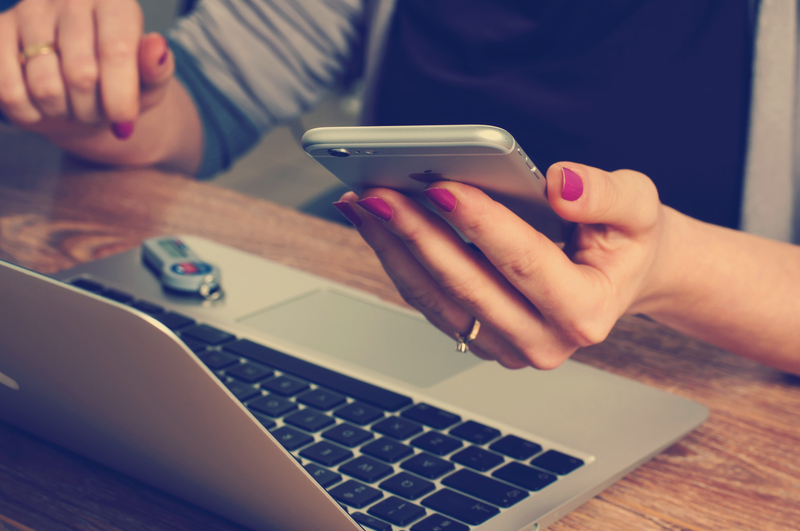 Share content, find answers, post and view potential jobs, create business contacts, and establish yourself as an industry expert. Read More about Getting Started with LinkedIn Groups. Groups connect you to people and ideas which can ultimately help promote your business and brand. Being a part of groups may provide you with an “ear on the ground” – what your target audience is talking about, worried about, and excited about. If you join groups comprised of other advisors, you’ll also learn new ideas and methods that may potentially be used for running your own practice. You can also pose your own questions and get feedback from your peers. Ultimately, joining a group expands your online presence which can lead you to potential new clients, business contacts, partnerships, and more. Learn how to Find and Join a LinkedIn Group. 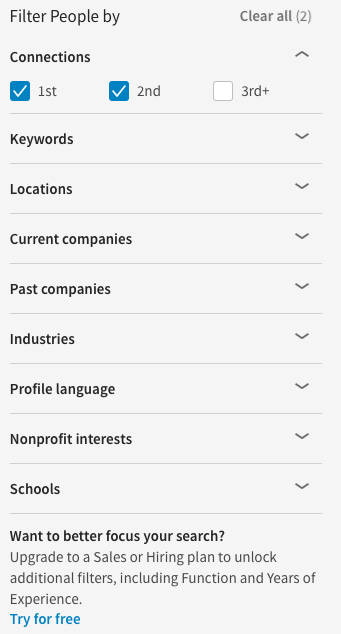 Advanced Search on LinkedIn allows you to search for people, jobs, posts, companies, groups, and schools through a variety of filters according to who or what you are attempting to connect to/with. When searching for people you are able to filter through a number of factors such as: keywords, locations, current/past companies, industries, schools, etc. When searching for jobs you are able to filter by: job function, industry, experience level, location, and more. With this tool, you can connect with people and groups in a more structured, targeted manner. Instead of going through the “list of suggested” users or groups that LinkedIn provides, you can control what results you wish to see by filtering out categories. For instance, you might search for all individuals that work at a specific company who you have recently started consulting with on 401 (K) plans. This saves time, and in return gives more accurate outcomes that can best help leverage your business or practice to the right connections. 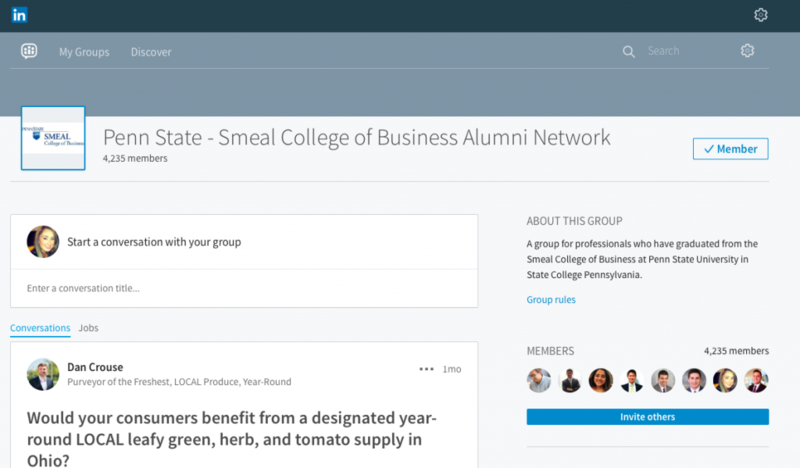 Join groups to connect with peers, alumni from your college, or perhaps the best option: prospects that work in the industry you serve. Referring back to Tip #1, once you have joined a group it is important to connect and interact with the network of people within the group. You can do so by “Liking” or “Sharing” posts from others in the group, or even tag the group in any posts of your own. If someone asks a question and you’ve got the answer – post it! You can (and should!) also consider linking content that you’ve created that touches on any topics being discussed. COI means “Circles of Influence” and it is a marketing-based definition which promotes proactive activity within your circle of influence. The group you join on LinkedIn essentially becomes your circle of influence, so by being active in your group regarding issues or topics of discussion will further establish your credibility and continue to build your online network of followers. Before creating a Showcase Page, you’ll need to go through a couple of steps. First, you must create a personal page (your personal profile with your work experience) and then a create a Company Page (in your company page, you can feature your business focusing on purpose, target audience and specific services). 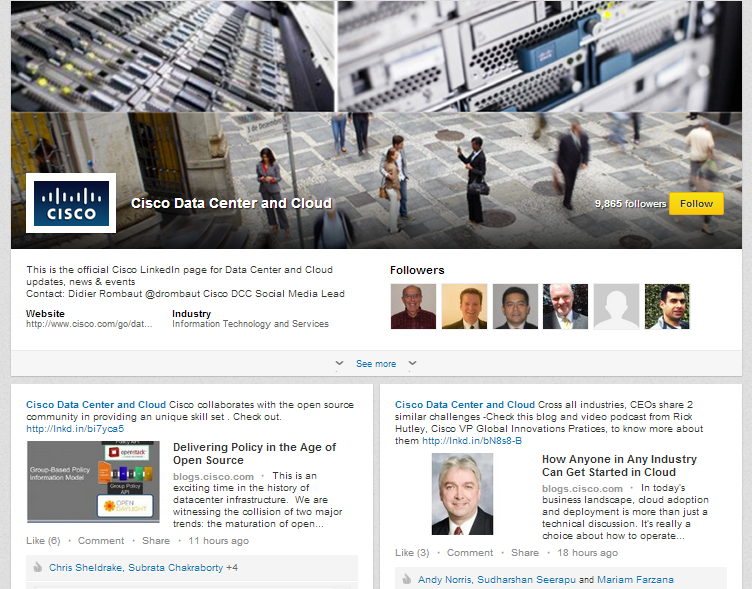 Cisco has 11 different products and services pages, with the Cisco Data Center and Cloud coming in first place, as it has the biggest number of followers and the most regular updates. Okay, so you’ve got your personal page setup and have created a company page, now you are ready to create showcase page. Showcase Pages are an extension of your Company Page, and are utilized for “spotlighting a brand, business unit, or initiative.” With a Showcase Page you are able to drive engagement, share specific content with a targeted audience, and create relationships that matter. Learn more about how to get started with Showcase Pages. Think of a LinkedIn Showcase Page as you would a landing page off your main website. It allows you to “showcase” specific services you offer or discuss topics that would be relevant to a niche audience you serve. With a Showcase Page, you are able to target a specific audience that relates to what your business goals are. It is simply another place to highlight who you are, what you do, and who you do it for. Check out 5 great examples of LinkedIn Showcase pages. Whenever you post a new update to your LinkedIn Company Page, you can also choose to “sponsor” the update to gain a greater distribution of your post, and thus, exposure to a bigger audience. Ultimately, sponsored content allows you “to distribute Company Updates to targeted LinkedIn members outside of your Company Page visitors and followers.” Learn More about Sponsored Content here. By “Sponsoring” your content, you’ll unlock a few great features that allow you to raise awareness, build relationships, and drive leads (more quickly than what is possible with organic content you post). With Sponsored Content, you are able to reach just the right audience with comprehensive targeting options. Take a look, here, at some great examples of Sponsored Content Updates. Get started with Sponsored Content for your company page.